Gallier Hall, named for James Gallier, the architect who designed the building, was completed in 1853, and served as the City Hall of New Orleans for over 100 years, and has since continued to play a hugely visible traditional role in Mardi Gras parades, and has hosted many important events as well as private functions. 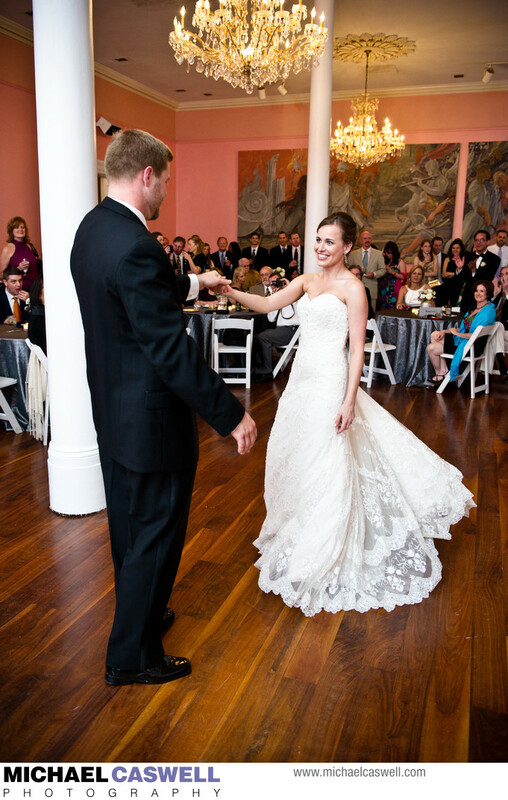 This Washington DC couple's wedding was a lot of fun! For their guests who had come in to New Orleans from out of town, the bride and groom supplied welcome bags with goodies, and a fantastic little booklet that contained lists of the couple's favorite things to do and best places to eat in New Orleans, with an accompanying illustrated map, and a helpful glossary that defined terms like "lagniappe" and "second line". The ceremony and reception, coordinated by Andrea at Another Perfect Affair, took place at Gallier Hall... it was great shooting in such a historic and elegant location! Cool Bones Brass Band performed for the ceremony, and for the rest of the night at the reception as well, and everyone had a great time listening and dancing to authentic New Orleans music. They even had a snowball stand brought in! 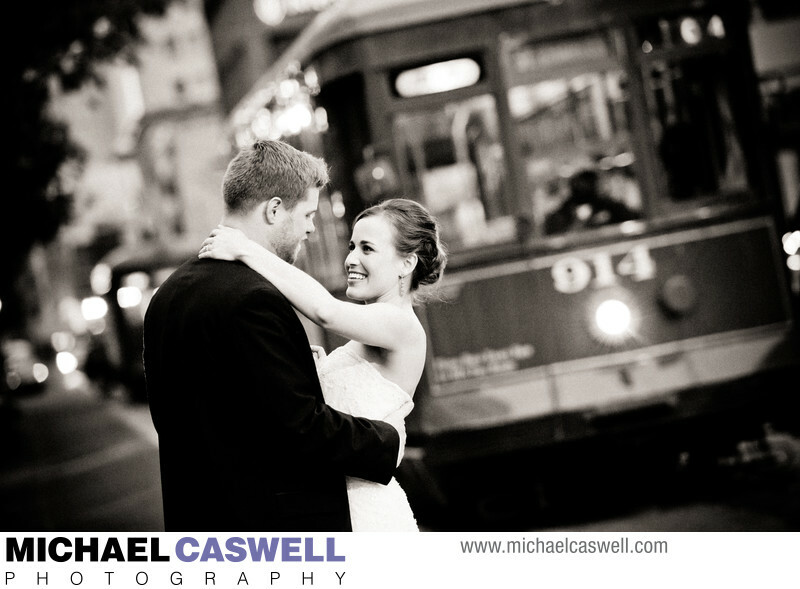 Because the venue is located right on the iconic St. Charles Avenue streetcar line, we were able to sneak out for a bit and get a few portraits of the couple with a streetcar approaching them in the background, and did some additional portraits in Lafayette Square, which is right across the street. Location: 545 St Charles Ave, New Orleans, LA 70130.